I fulfilled a small Belgian ambition yesterday. 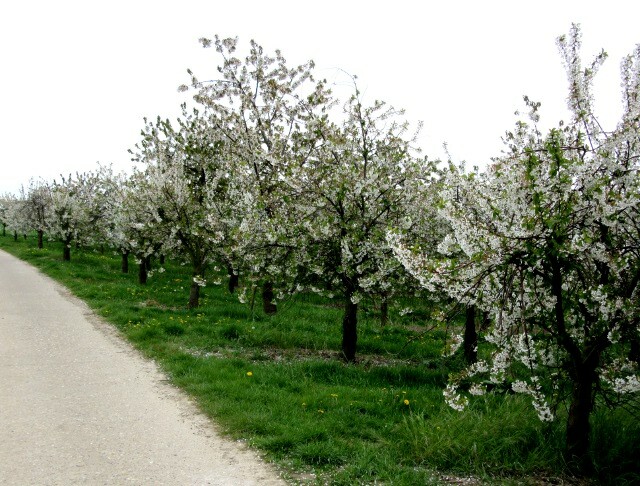 Ever since I went cycling in Limburg last summer and discovered the beautiful region of the Haspengouw I have been looking forward to going back in spring to see the blossom season. 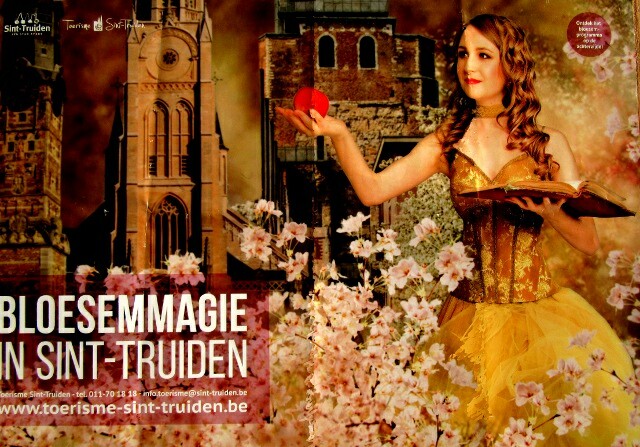 We almost left it too late because the season is regarded as April but the Mayday public holiday was a last chance to drift back towards St. Truiden and Tongeren and catch the final apple blossoms. 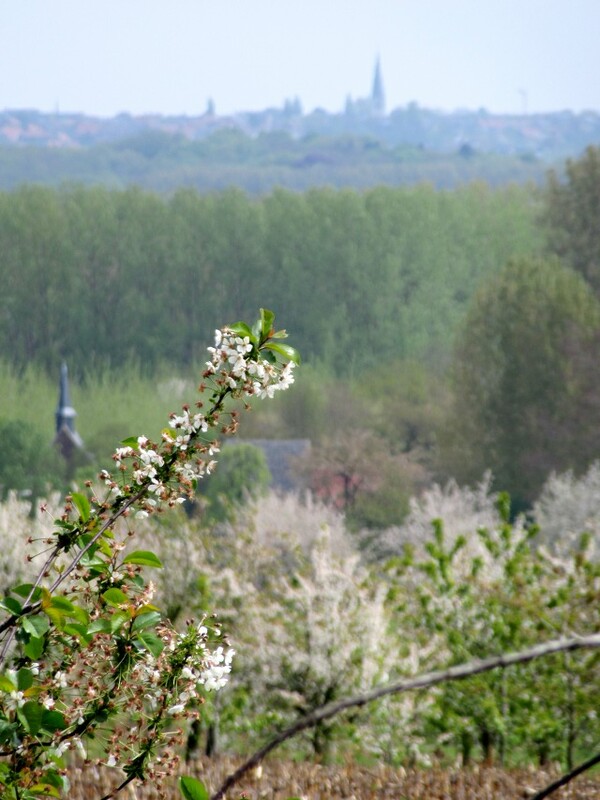 Despite our late arrival there were flowers everywhere, from huge expanses of orchards to small stands in the gardens. We weren’t cycling this time, this was a day for walking with the dog, his advancing years and arthritic hips mean that his days of running beside the bikes and jumping in and out of trailers are over but he can still show puppy-like enthusiasm for a walk full of new smells. However cycling was never far away because the Limburg Bicycle Paradise was booming, everywhere we went bikes seemed to be the dominant source of customers for the bars and cafes. 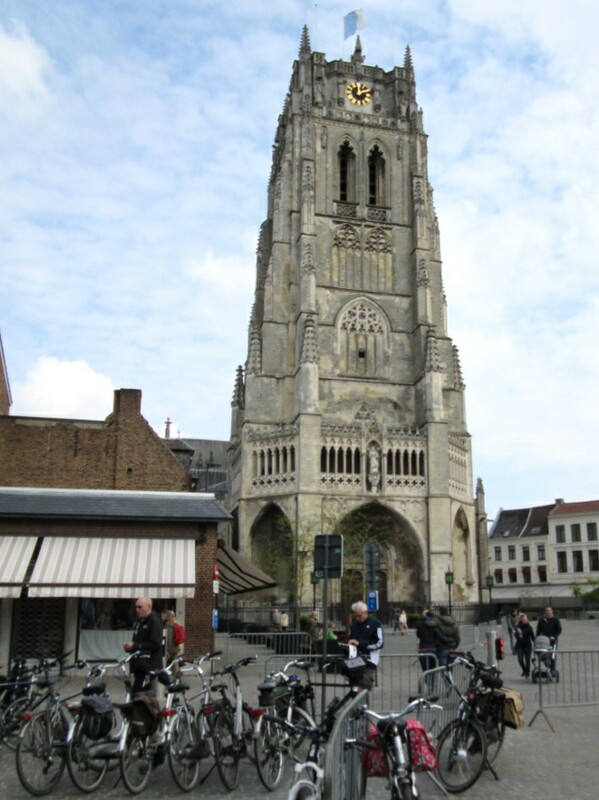 Lots of e-bikes which are now breaking through in Flanders in a big way, clearly allowing many more people to join their friends and family in small touring groups which was lovely to see too. 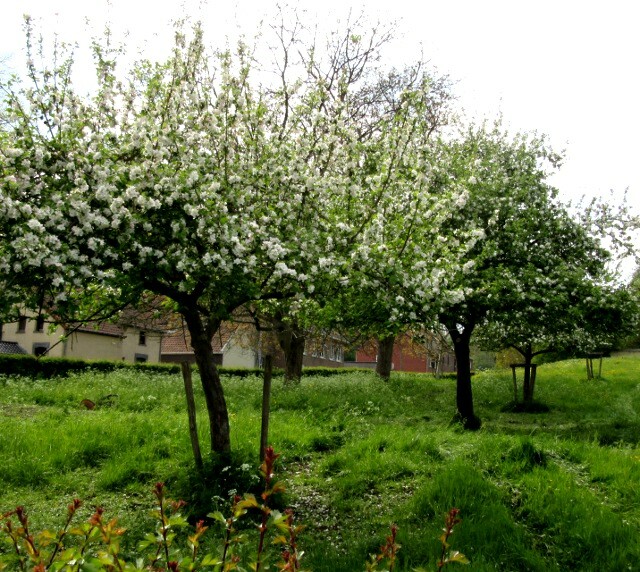 I can see that this is going to be a long term favourite destination for our days out and short breaks. I am sure we will be back for next year’s Bloessemmagie. 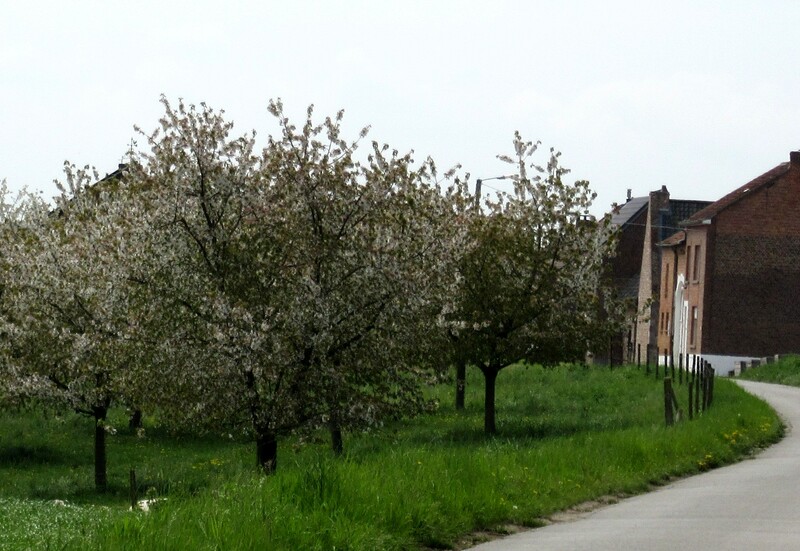 This entry was posted in Life in Belgium, Musings and tagged Belgie, Belgique, Belgium, cycle touring, cycling, E-bike, Flanders, Limburg, Walking by kevinmayne. Bookmark the permalink.